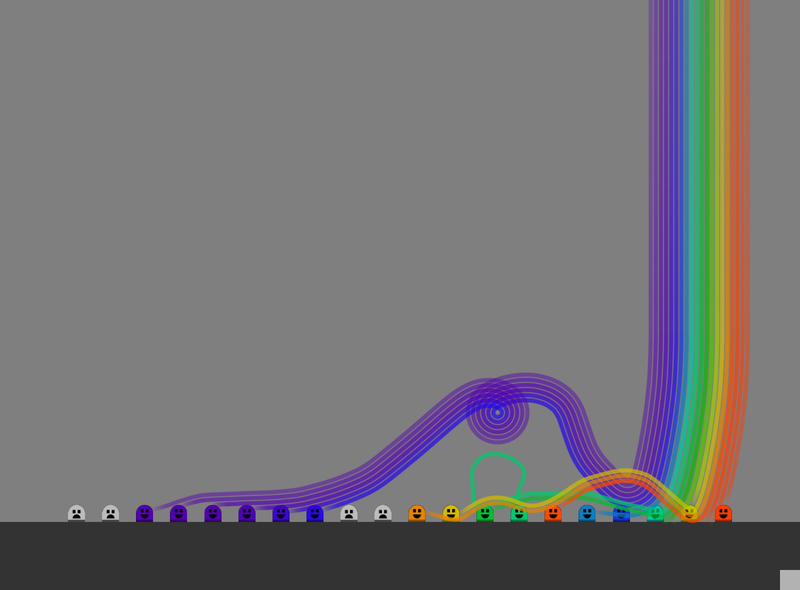 After a slow day and a half, the C++ port of Rainbow now has enlightenment working. The next thing to do is probably to revisit how control works, and build effects to reflect the current state of each frequency band (unclaimed, claiming, following, crashed). These will be different than the mouse-control effects, because with touches one does not know where an inactive control point lies.